RS Components: DesignSpark – Demonstrating the Raspberry Pi! DesignSpark by RS Components is a progressive engineering community dedicated to providing an interactive outlet to the engineering world that will be featured at the Singapore Mini Maker Faire this year! 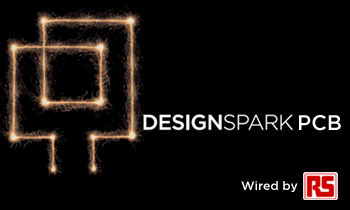 DesignSpark is an online engineering community sponsored by RS Components that provides a gateway to online resources and design support for engineers. Created two years ago, DesignSpark.com is an interactive environment for all types of engineers to express their ideas, share their knowledge, and learn from others. Upon free registration to this conducive community, one also has free access to the award winning PCB Design Tool, thousands of free 3D models, and the eTech (a digital and tablet edition electronics magazine), all of which will be featured at DesignSpark’s Mini Maker Faire booth and workshop, so be sure to check out these free DIY tools to amplify your engineering experience! The Raspberry Pi is a credit-card sized bare board that operates many of the functions of a PC, featured by RS Components DesignSpark. Add a keyboard, a mouse, and plug it into a TV, and then it functions just like a basic computer! These days, with society’s ever progressive technology it is almost impossible to see the computer at its bare working basics; however, the Raspberry Pi allows us to take bring technology back about 20 years to its bare essentials. Aspiring engineers everywhere are now able to learn about computer programming interactively—using the Raspberry Pi system, students are able to program their own codes and see how the computer responds to them. It’s all about discovering the world of computers in its most simplistic and beneficial form! DesignSpark will be demonstrating the Raspberry Pi at the Mini Maker Faire, so stop by at the faire to check out this new and innovative way to learn engineering! Upon speaking with the members of the DesignSpark community, I found the organization to be very dynamic—DesignSpark is dedicated in inspiring engineers to fuel their passion and in turning ideas into realities. In both their booth and workshop, they will demonstrate how their free design tools, such as the DesignSpark PCB and the 3D cad model can help makers turn their conceptual ideas into a concrete design. The tools DesignSpark is presenting will break the barriers in designing and spark new ideas for inspired makers everywhere! Currently, DesignSpark is working on the DesignSpark PCB verion 4, which will be the introduction of industry open source hardware platform to its community members. DesignSpark is certainly enthusiastic about sharing knowledge and creativity to help the maker community of Singapore thrive!